With the success of the Citation line, it is no wonder that the Cessna Corporation released another iteration. Keeping the initial vision of the Citation line, the Cessna Citation Sovereign maintains the comfort, economic, and performance standards set by its predecessors. The Citation Sovereign was introduced in 2004 and has since earned its place in the industry as a reliable midsize business jet. The Citation Sovereign features a spacious, private full bathroom, an impressive coast to coast range, and a highly advance avionics package. The Citation Sovereign is usually configured to hold eight to twelve passengers, offering comfortable 180 degree swivel seats. The cabin of this private business jet measures 25.3 feet long, reaches 5.7 feet in height, and stretches 5.5 feet wide. The Citation Sovereign features an impressive 135 cubic feet of baggage space capable of accommodating about 1,000 pounds of luggage. Additional storage is included in the cabin in the form of a closet. Sixteen windows surround the passenger cabin, contributing to a light atmosphere for a relaxing flight. 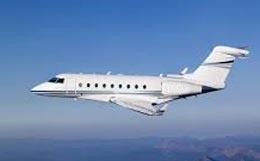 Cessna designed the Citation Sovereign with passenger comfort in mind, allowing the cabin to be cooled by the APU before engine start. This private business jet utilizes a variable gearing mechanism, which constantly changes the angle of the flaps to achieve their best angle for flight, effectively reducing pitch change. The Citation Sovereign utilizes two Pratt and Whitney PW306C turbofan engines. Each engine is rated for 5,600 pounds of thrust on take off. The Citation Sovereign needs only 3,640 feet of runway to take off and needs only 2,203 feet of runway to land on a standard day. 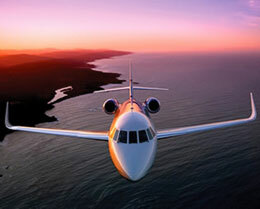 This business jet is capable of flying at its high speed cruise velocity of 445 knots at an altitude of 39,000 feet. If you would like to make the most of the Citation Sovereign’s economic properties, the aircraft can maintain its long range cruise speed of 375 knots at an altitude of 45,000 feet. With a range of over 3,000 nautical miles, the Citation Sovereign is capable of coast to coast operations to meet your business needs. The Citation Sovereign comes standard with highly advanced digital avionics. Many of the start up functions are automatic. In the event of a stall, pilots have testified that the Citation Sovereign could recover without pilot intervention due to the level of sophistication of the stall control technology integrated into the avionics and flight systems. When selecting an avionics suite for the Citation Sovereign, the Cessna Corporation chose the Garmin 5000 for its sophistication and performance. Four digital touchscreen controllers and triple multi-pane widescreen displays are utilized in the package. Situational awareness is further enhanced through Garmin’s Synthetic Vision Technology (SVT), which depicts a three dimensional rendering of terrain, traffic, obstacles, and the runway environment, displaying these images on the primary flight displays. Included in this highly advanced avionics package are Dual Flight Director, Dual integrated FMS that support RNP, LPV, TOLD, and performance data, dual channel fail passive Autopilot System with full integration to FMS and auto throttles, electronic documents such as manuals, checklists, and charts which link directly to the FMS and are displayed on the multi function displays, advanced audio capabilities, solid state weather radar with ground clutter suppression and turbulence detection capabilities, active and passive traffic surveillance functionality through the utilization of TCAS II and ACAS II technologies, and Garmin ADS-B target correlation and tracking. With this avionics suite, the Citation Sovereign is compliant with FANS 1/A, CPDLC, and ADS-B requirements. 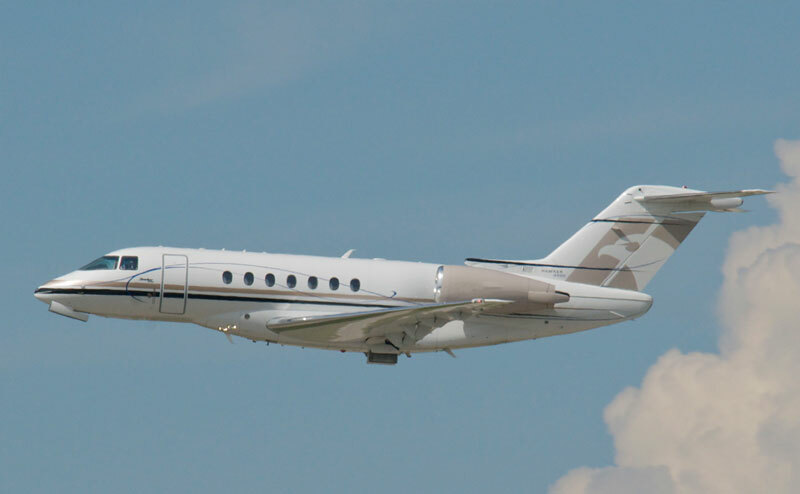 For more information about chartering, leasing or buying a Citation Sovereign please contact us by calling +44-20-3874-8091 or send us an email here.